EBay (s EBAY) said it is buying the rest of e-commerce platform Magento, which it previously had a 49 percent stake in, in a bid to build a broader commerce operating system that spans online, mobile, social and local. In effect, eBay is looking to be the go-to resource for online and offline retailers, helping connect them to consumers. Los Angeles–based Magento offers an open-source commerce software suite that allows merchants to build flexible online stores that can be customized easily. 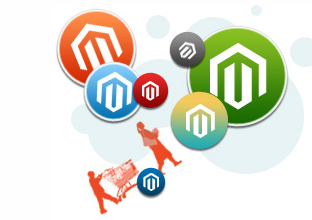 Tens of thousands of merchants use Magento and its newer software-as-a-service (SaaS) solution called Magento Go. The deal—the terms of which have not been disclosed—is expected to be finalized in the third quarter. The purchase of Magento comes after eBay announced in February that it had made a $22.5 million investment in Magento a year earlier, worth a 49 percent stake. It’s a big strategy move but one that has been tipped off by eBay’s recent acquisitions. With its pickups of RedLaser and Milo as well as its recent purchases of WHERE and Fig Card, eBay has been assembling the components for a deeper push into commerce, especially local transactions. RedLaser allows eBay to insert itself into comparison shopping as mobile consumers use their smartphones to help them shop. Milo helps connect users to the local inventory of products around them. With WHERE, eBay got not only a local guide for mobile users but also a location-based ad network and a deals service called WHEREBuys. That allows eBay to engage a user through an ad or deal; then, by integrating with PayPal for payments, it can close the loop on the transaction and theoretically charge a premium for it. Fig Card, a competitor to Square, also helps merchants accept mobile payments, which can include PayPal. And combined with GSI, which provides e-commerce infrastructure for large retailers and brands, eBay has solutions that appeal to both small and large companies. PayPal spokesperson Anuj Nayer said X.Commerce is not just a new platform but an emerging business division for eBay. He said the real promise is going after offline retailers who are desperate for ways to innovate and compete as online and offline shopping converge. EBay recognizes that its marketplace can only serve so many retailers. But the company is betting it can be a valuable resource to retailers by creating an open ecosystem that helps them compete. The challenge is on for eBay and PayPal to evolve and tackle more of the offline retail world and marry it to its strengths in e-commerce. As we noted following Google’s big payment announcement with Google Wallet (s GOOG), PayPal has been working on its own mobile and point-of-sale offerings, something Google VP Osama Bedier was leading for PayPal before he switched sides in January. The company already said that it was “all-in” on mobile payments. As Square’s COO Keith Rabois told us recently, the bigger opportunity is in offline real-world transactions. That’s why he thinks Square can ultimately be worth more than PayPal, his old company. PayPal is showing today that it has no intention of being relegated to the sidelines of commerce as it grows via mobile and local. It still has to sort out how it will deal with point-of-sale transactions, something it said it will announce later this year. PayPal is more of a popular option for online purchases, so we will need to hear more about how PayPal can facilitate offline transactions and make it easy and convenient for people. That’s one of the promises of NFC with its tap-and-go system. On a larger scale, eBay has to show it can be nimble with this operating system and move quickly to assert itself into a market that is being transformed by Google with its NFC Wallet and Square with its new Register and Card Case products. But clearly, eBay and PayPal can’t be taken lightly. While Rabois said PayPal’s brand has atrophied, the combined might of eBay and PayPal is still formidable, and the company has a lot of money and resources it can bring to bear on the commerce front. X.Commerce is good example of what eBay and PayPal can do when they put it all together. It’s a necessary step and a sign of how the world of commerce, online and offline, is all coming together. Looks like the open source e-commerce market is heating up. I hope this pushes Magento even further into greatness. Alternatively, to summarize, if PayPal is authorised to access funds from a buyerâ€™s banking account (~30% of their funds sourcing from buyers), they do that by direct debiting the buyerâ€™s banking account (via their banker, GE Money Bankâ€”Ugh!). This is the most cost-effective way of accessing buyersâ€™ funds and so PreyPal will always prefer a banking account to be their first port of call. Unlike credit/debit card transactions, with direct debit transactions there is no immediate confirmation that funds are or are not available. And, unfortunately, a seller has no way of knowing how PreyPal is accessing a buyerâ€™s funds and therefore a seller has no way of knowing if they are indeed going to get paid even though PreyPal has told them that the buyer has paid. In such circumstances, if indeed there is insufficient funds, then the clunky PreyPal does not want to be out of pocket so they will simply reverse their payment to the seller and the seller then loses both the goods and the money. What a totally irresponsible, unprofessional, potentially fraud-facilitating operation is this pathetic PreyPal system. No wonder PreyPal has such difficulty managing the financial risks involved in its clunky operation. Epic FAIL! I was one of the first to the eBay developer program. They are full of bugs (much like Magento) and are terrible to work with for developers. Magento was already a pig, over engineered. THey do great marketing, I’ll give them that much. THere are many much better solutions out there. I know my clients are going to jump ship w/ their magento stores now. Wow, this is huge news, Im not sure why its being played down. I hope this will mean Magento will stop trying to leech through their enterprise offerings while taking advantage of their opensource community. This is a suicide buy. This is what happens when you have execs with no technology experience run ahead of the horse with their vision. All of these technologies are impossible to merge. Look at magento apps… There are as many bug than a platinum powersellers has feedbacks. Its magento and gsi combined, except it actually works, written in the same language and will probably cost them a fraction of the gsi price. This is good move by ebay. But the main question is why ebay need this move when they already have a multiple vendor platform for with proper subscription model. I hope this step will not effect Magento customer base and it will allow developer to customize product as per requirement. I have my account at http://www.Infozshop.com, Online B2b,B2C,C2B and C2C Platform with Ecommerce, Social networking and classified marketplace.I am really happy with the functionality and vast feature list they have provided. The most important part of this platform they have provided everything free.I would like to recommend this eCommerce platform for any supplier. The rusting old hulk eBay is presently being kept afloat by PreyPal so itâ€™s good to see these boys recently squabbling and threats to the clunky PreyPal now coming thick and fast. Itâ€™s interesting times for all we eBay â€œhatersâ€ (oops, I mean â€œwatchersâ€). I just hope that someone has remembered to bring the popcorn. PayPal is mostly registered in various places not as a â€œbankâ€ but only as a â€œmoney transmitterâ€ (like Western Union), and PayPal actually claims that they are not a â€œpayment processorâ€, and there is a minute degree of truth in that claim because it could, nonsensically, be claimed that they do no more than facilitate the transmission of money by riding on the back of the banksâ€™ existing payments processing systems. In fact, the only thing creative about PayPal has been their use of usersâ€™ email addresses as an identifier for online transactions. PayPal is otherwise no more than a blood-sucking parasite on, and in the main cannot function except via, the banksâ€™ existing payments system (via their banker, GE Money Bankâ€”Ugh!). PayPal, outside of whatever will ultimately be left of the Donahoe-devastated eBay Marketplace, will undoubtedly eventually be consigned to the history books by all the retail banks/Visa/Mastercard once those players get their â€œonlineâ€ act together. Some people may not like â€œthe banksâ€ but all those participating retail banks at least supply a professionally run payments processing systemâ€”unlike PayPalâ€™sâ€”and even PayPal concurs with that assessment: except for intra PayPal â€œaccountâ€ transactions, they use the banksâ€™ payments processing system all the time and simply could not exist without it. Regardless, all the above comments apply equally to all of the other third-party â€œpayments processorsâ€ that are emerging out of the woodwork and wanting to have access to your banking account. Unless they a formal arrangement with all the participating retail banks, as do the likes of Visa/MasterCard, then the result is invariably going to be as potentially problematic as presently is PayPalâ€™s clunky operation for its merchants, and many of them can tell you a sorry tale or two. Is that PayPalâ€™s blood in the water, and are those â€œsharksâ€ (oops, â€œbanksâ€) I can see circling? I love Magento. I hope EBay won’t do anything wrong with it. This news gives me a good reason NOT to use Magento for a new project. I’ve played the eBay game before, made a lot of money doing it, and ultimately left the game because eBay is too frustrating to work with. This is huge. Why isn’t this news getting more attention? … because it’s apple-time right now.